Brenna Coles has been employed as a Disability Management Coordinator with DynaLIFE Medical Labs for the last 2.5 years. She supports a wide variety of Disability Management programs and is both proud and passionate in facilitating workplace accommodations for employees to return to meaningful and productive work. 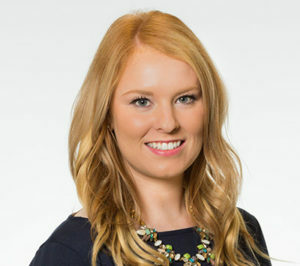 Having graduated from Dalhousie University in 2013, Brenna brings a broad scope of knowledge from her Bachelor of Science degree in Health Promotion and Certificate in Disability Management. Jamie Lynn Heintz dedicated the past 13 years of her career focusing on recruitment in the healthcare industry. 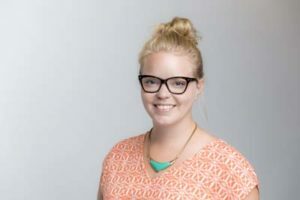 Jamie has spent the last 8 years working at DynaLIFE and is currently a Business Partner in the area of Talent Management and Strategic Initiatives. 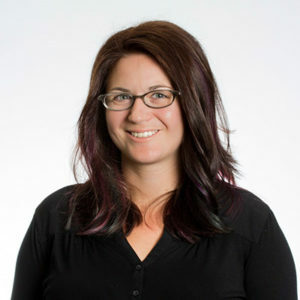 Jamie graduated from NAIT in 2004 from the Business Administration Program obtaining both a Management Diploma and Human Resource Management Certificate. Prior to joining DynaLIFE, Jamie worked for employers which included Alberta Health Services and The Capital Care Group. Shauna is the Manager of Social Innovations and Enterprise at Chrysalis, An Alberta Society for Citizens with Disabilities. Chrysalis’s mission is to provide personalized services to assist individuals with disabilities achieve their employment, volunteer and recreation goals. During her seven years with Chrysalis, she has been involved with many programs and start-up efforts aimed at creating more inclusive opportunities for people with disabilities. Shauna studied Psychology at St. Francis Xavier University in Antigonish. She made the move to Edmonton from Nova Scotia in 2009. Jon Garland’s career to date has been spent leading change, and improving employment opportunities for persons with disabilities in the public, private and not for profit sectors. Jon is acknowledged for his dedication, innovation and leadership through his 21 year career working with EmployAbilities. Jon firmly believes that diversity is the key to any business’s success and the answer to sound hiring decisions. Jon is committed to increasing diversity in today’s workplace and would like to encourage all Employers to consider Persons with Disabilities as a valuable source of skills labour. 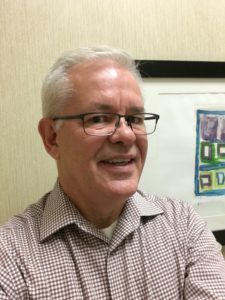 In his role with Prospect Human Services, Dave consults industry leaders and decision-makers to improve their capacity to recruit, retain, and accommodate under-accessed talent, including young adults, people with disabilities and people with military backgrounds. As a Workforce Advisor, Dave helps break-down barriers to employment and support employers through information, education and by building actionable plans with them. 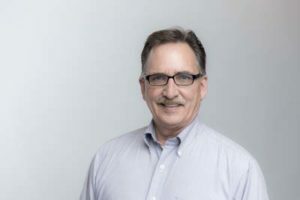 He has over 35 years of business experience and has had roles such as Regional Manager, Sales Director, Director of Stores of mid-sized retail and financial services companies. He has lead and directed project management of acquisitions and re-branding initiatives. Dave has also worked directly with clients going through career transitions, providing support, and career coaching. Brooks is the Co-Founder of MatchWork, a web based platform that supports the identification and translation of unique attributes into marketable products and services. He has spent over 10 years working in the non-profit sector, with the last 8 focused specifically on disability related issues. Brooks has explored broader provincial sector matters through the Alberta Council of Disability Services (ACDS), and supported organizations in business development, innovations, and social enterprise. He is the co-founder of MatchWork, a platform that helps people to discover their employable skills and talents. 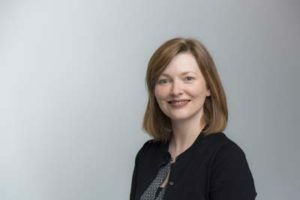 Brooks’ current interest is in understanding and addressing systemic barriers to community connections for persons with disabilities, with particular focus on community economic development. Internal Engagement Coordinator, focuses on engaging employees through various activities and recognition events. Richelle has been with Stantec for 9 years and has had various roles within this time. 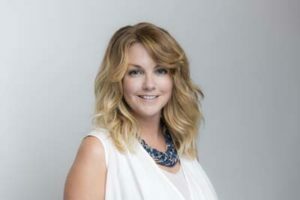 She is the chair for Stantec Edmonton’s Diversity & Inclusion Committee and has a passion for creating an inclusive work environment for all employees and potential employees. She has also helped to initiate the Women@Stantec group which has now been duplicated at over 20 locations throughout the organization. Amy Park is a self advocate and has worked as a Learning and Planning Coordinator at the Self Advocacy Federation for the last two years. This job has given Amy experience with public speaking, networking with other agencies, and community members. Amy has also gained knowledge in working with people with disabilities and helping them to become stronger self advocates in their lives. She is hoping to continue her growth in the field of human services. Ruth is the Manager of Employment Services at Chrysalis.. Chrysalis offers personalized services designed to meet the needs of the individuals in service, while providing meaningful opportunities for growth and community inclusion. During her 23 years with Chrysalis, she has been involved with many programs within Chrysalis focusing on quality of life for people with disabilities. Ruth studied in the Rehabilitation Practitioner Program at Grant MacEwan University in Edmonton. Anna-Maria is dedicated to helping workplaces build a culture that values diversity. She worked for the Canadian Human Rights Commission for five years, where part of her responsibilities included providing training and guidance to employers around domestic human rights responsibilities, such as the duty to accommodate. In 2013, Anna-Maria took on the role of Special Projects Advisor in Diversity and Inclusion for Enbridge, one of Canada’s Top Diversity Employers for the past four consecutive years. 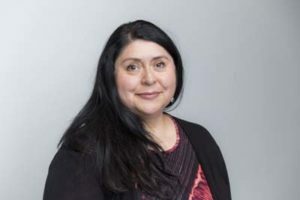 Her current areas of responsibility revolve largely around policy review and development, employment equity and data analysis, promotion of inclusion initiatives, and employment of Aboriginal peoples and persons with disabilities. 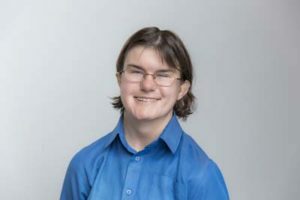 Anna-Maria is one of the founding members of the Pan Disability Connection, and recently served for two years as a member of the Accessibility Advisory Committee for the City of Edmonton, including chairing the Policy Review Subcommittee. 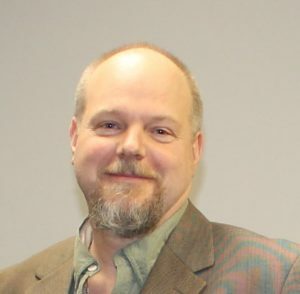 Buddy Winder is a co-owner, and Executive Director, of Winder Inclusive Communities Service (WICS). WICS is a smaller, private, not-for-profit organization that supports adult with intellectual disabilities to become involved in their communities in meaningful ways. Buddy is committed to inclusion, and dedicated to having people with disabilities seen as the contributing citizens that they are. Buddy is grateful to be a part of the PDC as he feels that the best way to facilitate a meaningful systems change is with a unified voice b ased on collaborative approaches, rather than through proprietary actions. Prior to starting WICS in 2010, Buddy spent 22 years in the field of Human Services, 18 of them in the disabilities sector. Buddy has diverse experience within developmental disabilities, brain injury, facilitation, and immigration.